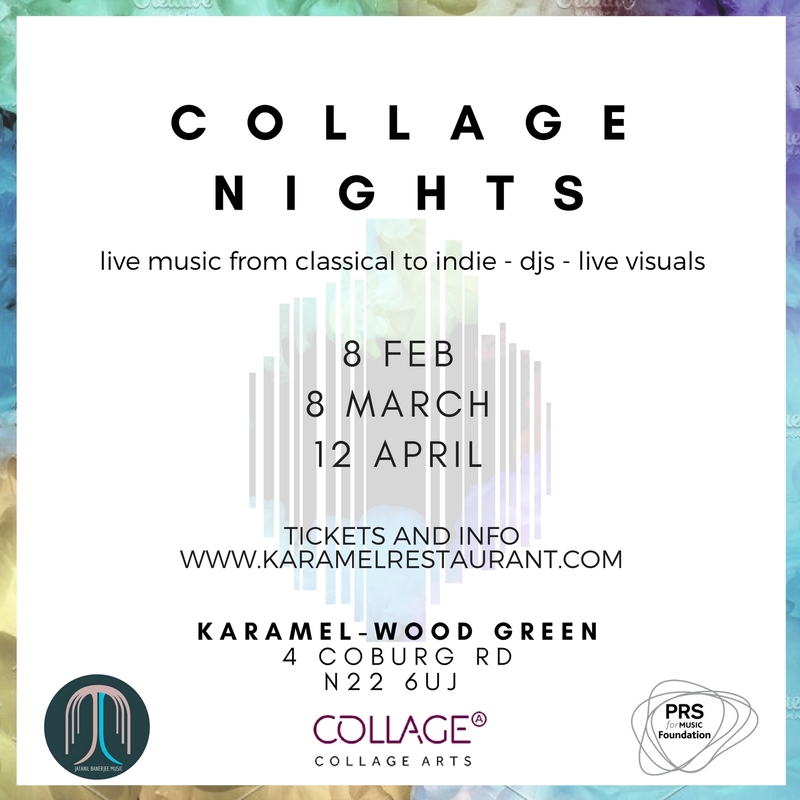 This Wednesday in Wood Green’s blooming Kabaret at Karamel, a new monthly series, aptly named Collage nights, will embark on their quest to bring forth the finest flair and finesse from the ever prosperous London arts scene. The formulation is a collaboration between Collage Arts who have their base in Wood Green and Jatanil Banerjee Music, a non-profit organisation who are the team behind Phoenix Session – another exalting organisation that provides a supportive platform for London’s array of talent. Each event will showcase a VJ who will be projecting live visuals to go with the music, ensuring a synaesthetic acquaintance for all those in attendance. 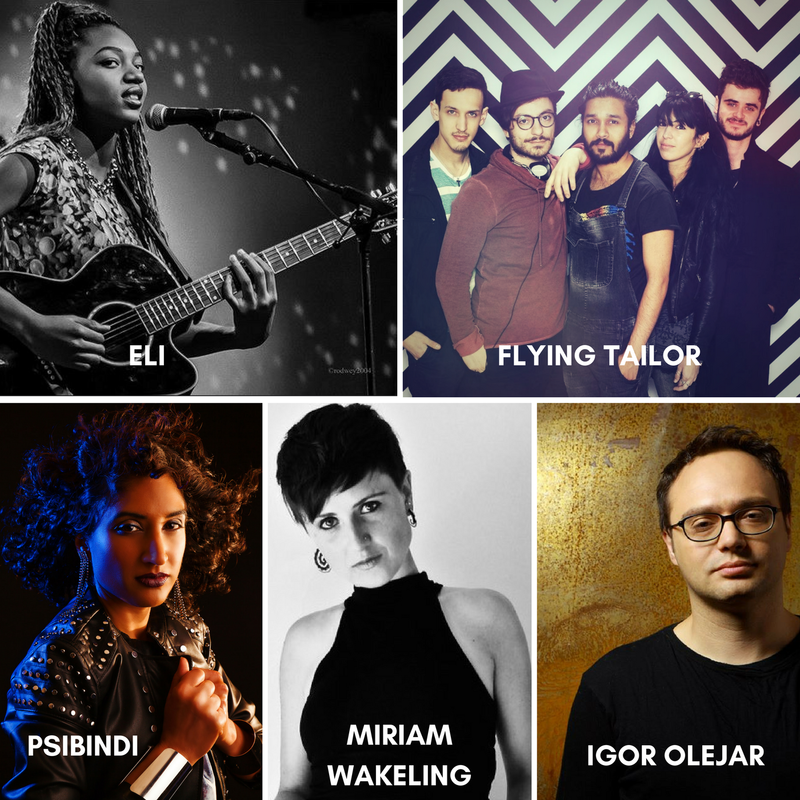 On this first edition the established Igor Olejar provides the visuals for the night. Having just released an Arts Council funded VR video with his band electronic Autorotation, Igor’s love of audio programming suggests that his angle towards fusing audio and visual components is sure to be an enticing and invigorating experience. Musically, the artist’s due to perform on the night are nothing short of thrilling. First up are Flying Tailor, an act that epitomise the core values of the series ethos. ‘This Is My Home’ one of the groups key musical outputs, is a track filled with heightened sensibilities of communal spirit and refreshingly honest lyrics atop whimsical guitar playing and a suggestively jaunting violin line. Expect to be enthralled. Meanwhile our receptors are eager to cling onto the hypnotic and inspiring sounds of Psibindi of Aphid Records, as she continues to push the boundaries for female artists in the music industry. Not content with her status a as founder of global psytrance collective Psy-Sisters, Psibindi has also joined renowned artists Jay Sean, Naughty Boy and Hannah V on the TV channel London360 to discuss UK Asian Artists in Mainstream Music as well as helping run a bi-monthly Meetup event for technology giant, Native Instruments. A regular at Azora and Boomtown, expect a set filled with ambience, worldy glimmerings and some serious grooves. Elsewhere we will be graced with fresh talent ELI who is apparently a relatively new face on the London music scene, but is no stranger to the craftsmanship of songwriting since she has been honing her sound since the age of 9. With vocals oozing soul-filled vocals, and melodic guitar weaving, this may just well be the start of a familiar face on the scene. Last up is Miriam Wakeling, a solo cellist that indulges in contemporary and classical composition. Tip-toeing between the two forms, Miriam is equally at home in classical ensembles as she is in recorded sessions for the lieks of Sony Records and Universal Studios Germany. Check out her work recent work with none other than Tom Odell. Doors open at 7, and music starts at 8. The event is supported by PRS Foundation.